The avian sclera is double-layered and comprises a fibrous layer and a hyaline cartilage layer, the latter usually confined to the inner surface of the sclera. 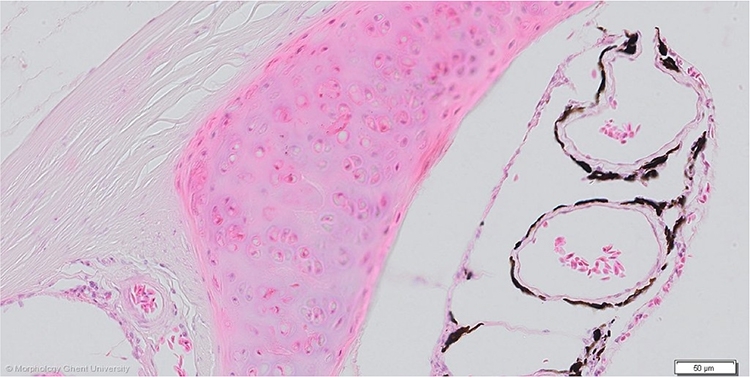 In most birds, the cartilage layer terminates to a ring of bony plates at the corneal scleral junction, called the scleral plate (annulus ossicularis sclerae). These scleral ossicules (ossiculae sclerae) help in maintaining the shape of the eye and form a base of attachement for the ciliary muscles. See scleral plate.